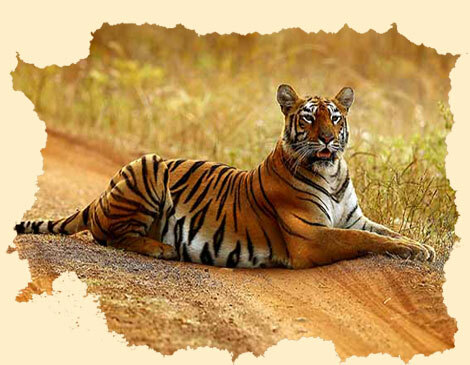 MPKanha Tiger Reserve has species of tigers, leopards, wild dogs, wild cats, foxes and jackals. 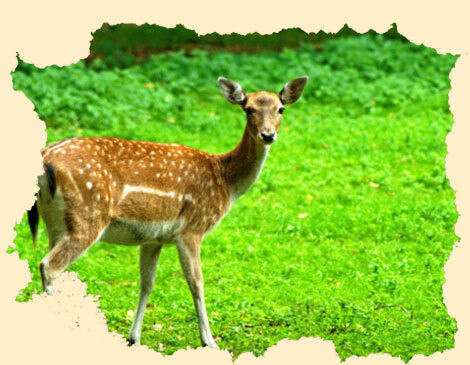 Among the deer species, swamp deer (Cervus duavcelli branderi) or hard ground barasingha is pride of the place as it is the only subspecies of swamp deer in India. The animal is adapted to hard ground unlike swamp deer of the north which live in marshy swamps. 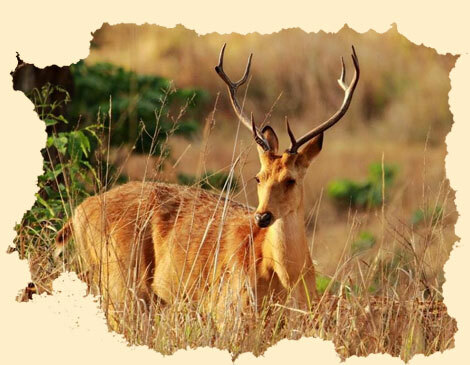 The reserve has been instrumental in rescuing the swamp deer from extinction. 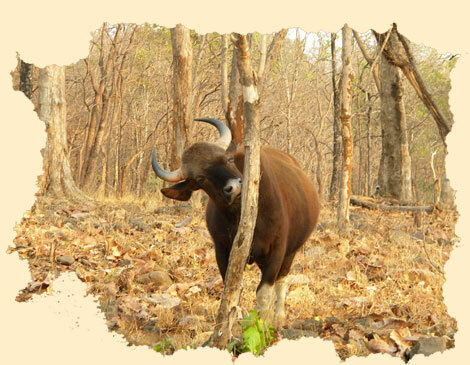 Indian gaur (Bos guarus), belonging to the ox genus, is found in Kanha but seen mostly as winter ends. In summer gaur inhabit meadows and water holes in the park. 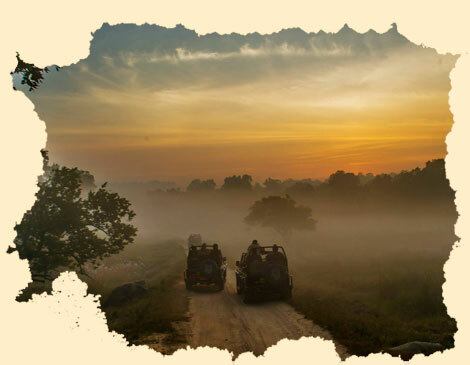 Kanha Tiger Reserve abounds in meadows or maidans which are basically open grasslands that have sprung up in fields of abandoned villages, evacuated to make way for the animals. 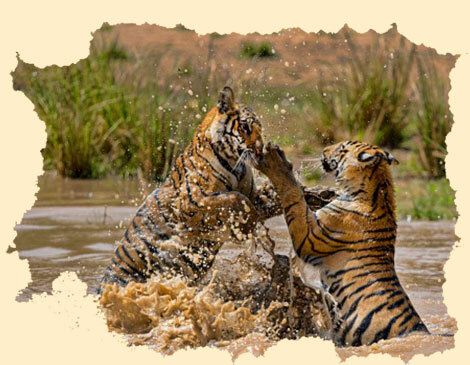 Spread across 940 sq.km, Kanha National Park is one of the largest parks in Madhya Pradesh where the majestic royal Bengal tigers are found in good numbers. 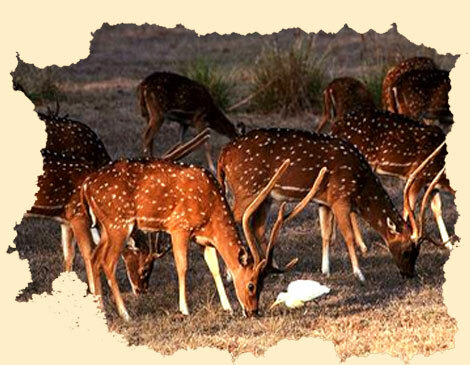 The Park is respected globally for saving the Barasingha from near extinction. No doubt, it is one of the best managed parks in Asia and a part of Project Tiger. National Geographic's award winning 'Land of the Tigers' was shot here, but the park is home to leopards, wild dogs and Barasingha as well. Bandhavgarh h National Park is spread at vindhya hills in Madhya Pradesh. Bandhavgarh h National Park consists of a core area of 105 sq km and a buffer area of approximately 400 sq km of topography varies between steep ridges, undulating, forest and open meadows. 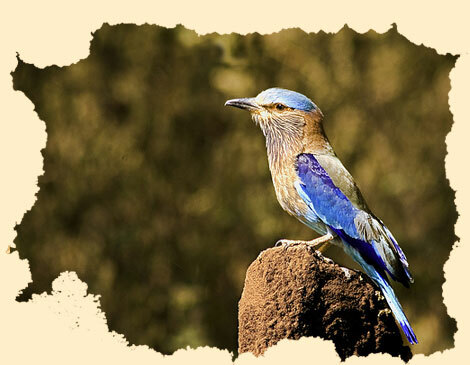 The wildlife of the Bandhavgarh h National Park is truly the most glittering parts of the Aravali regions. The Park is simply known for the various species of wild creatures and is best known for the preservation of the most astonishing tiger species. 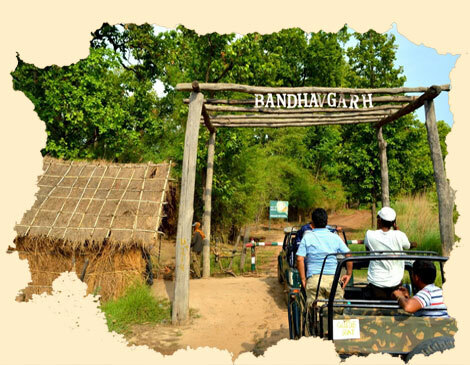 The presence of the abundance of tiger species in Bandhavgarh h has drove many animal lovers in this explicit arena. Appreciate the wilderness hidden behind every rugged way of Bandhavgarh h with the amazing wildlife tour in Bandhavgarh h Reserve. Once a hunting reserve of the royal family of Rewa in more recent times, Bandhavgarh h was declared a park in 1968. 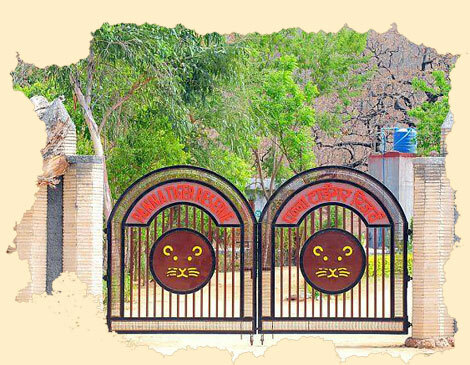 This is also the site where the famous WHITE TIGERS of Rewa were discovered. Wandering through the Bandhavgarh h national park on an Elephant Back, the chances of seeing a tiger are quite good. 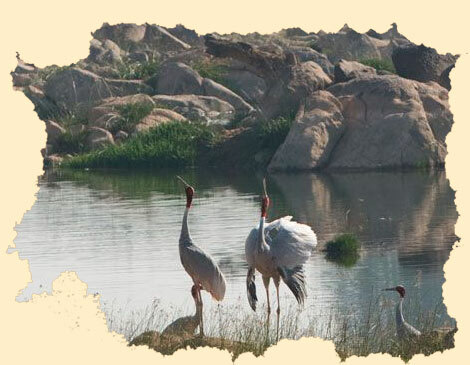 Among the other wild attractions include, Nilgai, Chausingha, Chital, Chinkara, Wild Boar and sometimes a Fox or Jackal. 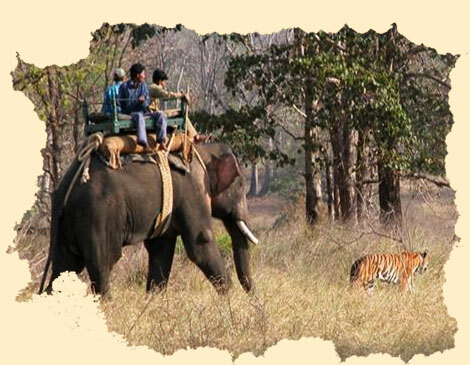 In the Bandhavgarh h National Park the visitors can be entered on elephant back apart from the four wheelers. Panna National Park is situated in the central Indian state of Madhya Pradesh,at a distance of around 57 km from Khajuraho. 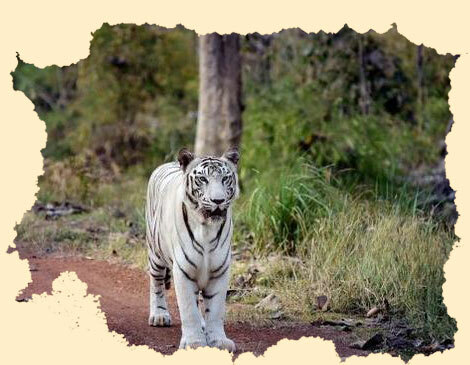 The region, famous for its diamond industry, is also home to some of the best wildlife species in India and is one of the most famous Tiger Reserves in the country. 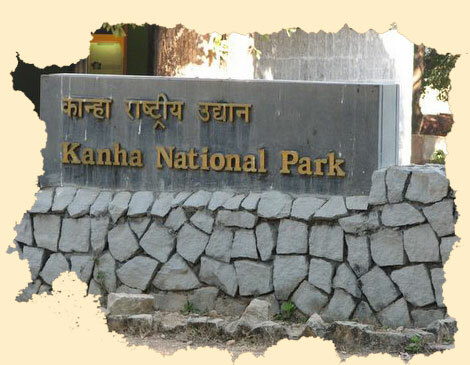 Panna National Park is a very popular wild life reserve. Located in the central Indian province of Madhya Pradesh, this national park is at a distance of almost 57 km from Khajuraho. 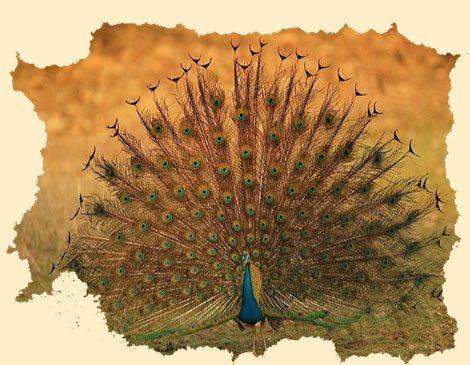 Among the better known tiger reserves in India, Panna National Park is one of them. The park is famous for its big cats like the tigers and the leopards. Tourists who visit Khajuraho, make it a point to get to the Panna National Park to see the majestic cats in the wild. The landscape is rocky, the terrain is uneven and the vegetation comprises of mainly tall grass and scrubby bushes. The bio-diversity in this national park is extremely rich. Apart from the powerful and huge tigers, the park also has wolf, chital, sloth bear, chinkara and sambar. Panna has a tiger reserve which is called Panna National Park. The density of tigers in this park was less compared to Bandhavgarh h or Ranthambore. Sightings of tigers in Panna have fallen over recent years, and official tiger population figures are disputed by naturalists. Pench National Park is in Seoni and Chhindwara districts of Madhya Pradesh in India. It derives its name from the Pench River that flows through the park from north to south dividing the park into almost equal western and eastern halves, the well forested areas of Seoni and Chhindwara districts respectively. The forest cover in the park area includes teak mixed with other species like saja, bijiayasal, lendia, haldu, dhaora, salai, aonla, amaltas. The ground is covered with maze of grasses, plants, bushes and saplings. Bamboo is also found at places. Scattered white kulu trees, also referred to as 'ghost tree', stand out conspicuously among the various hues of green. Another important tree for both wildlife and tribal people of this region is mahua. The flowers of this tree are eaten by mammals and birds, and also harvested by the tribal people as food and to brew beer. 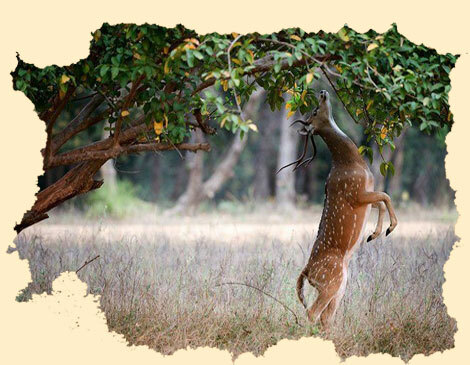 Located in the southern reaches of the Satpura range, it is divided by river Pench into nearly two equal parts. This magnificent expanse shelters over 285 resident and migratory birds. The town is not very large, and most of its area is under the administration of the Pachmarhi Cantonment Board, serving the Indian Army. 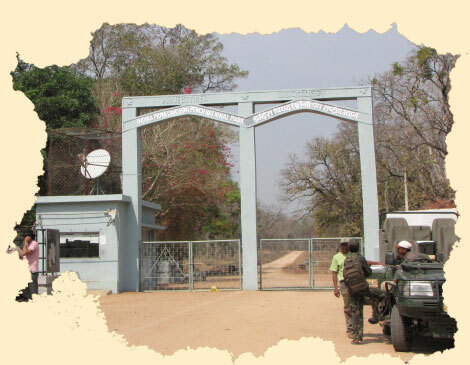 The population of Pachmarhi is about 10,000 persons, most of whom are connected with the Army installations in the area. 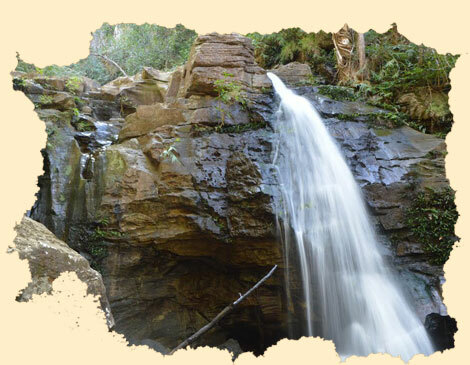 Pachmarhi is a popular tourist retreat. 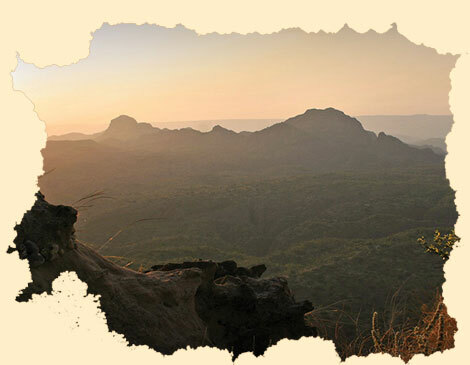 Situated at 1100 m, Pachmarhi, popularly known as 'Satpura ki Rani' (Queen of Satpura), sits beautifully, embellished by nature and history, amidst the Satpura range. 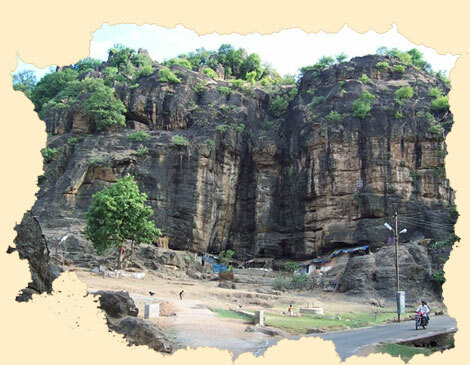 Legend says the Pandava brothers visited Pachmarhi during their exile. This beautiful region in the hills, was discovered by Captain James Forsyth in 1857. 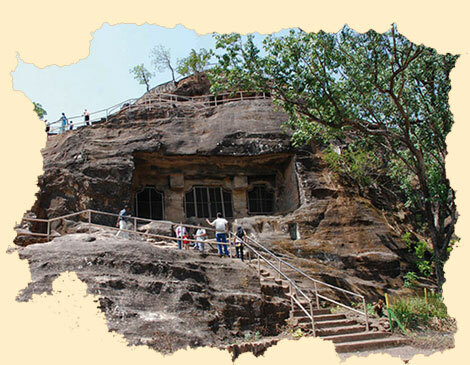 This most popular hill station of Madhya Pradesh is a treasure with ancient caves of the Buddhist era residing in harmony with serene waterfalls. The Marble Rocks are a gorge on the Narmada River in central India where the river narrows to a width of 10 meters and carves through a large area of white marble, creating a beautiful gorge of about 3 km in length. 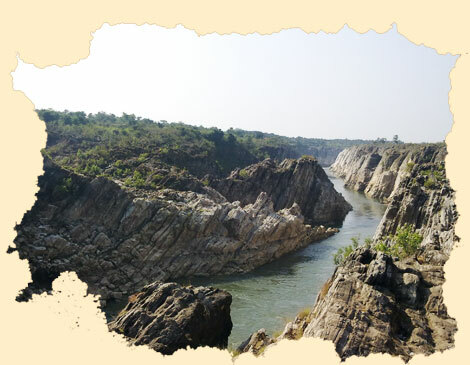 The Marble Rocks are located near the city of Jabalpur in Jabalpur District of Madhya Pradesh state, and are a popular Indian tourist destination. The local marble is mined and carved into various figures and transported all over India. 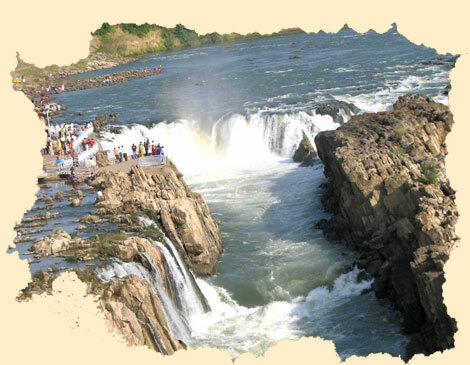 Just 21 km west of Jabalpur, is a small village called Bhedaghat. 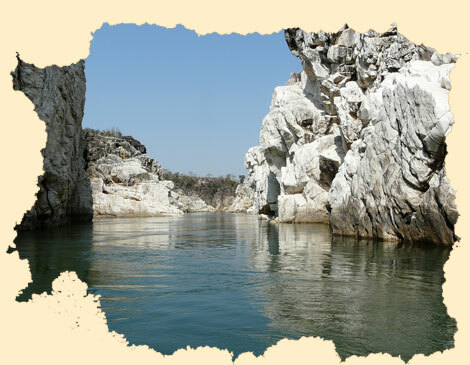 The village is world famous for splendid Marble Rocks on the banks of Narmada River. Covered with dark volcanic seams of green and black, they tower to almost 100 ft above the soft flowing Narmada on either side.